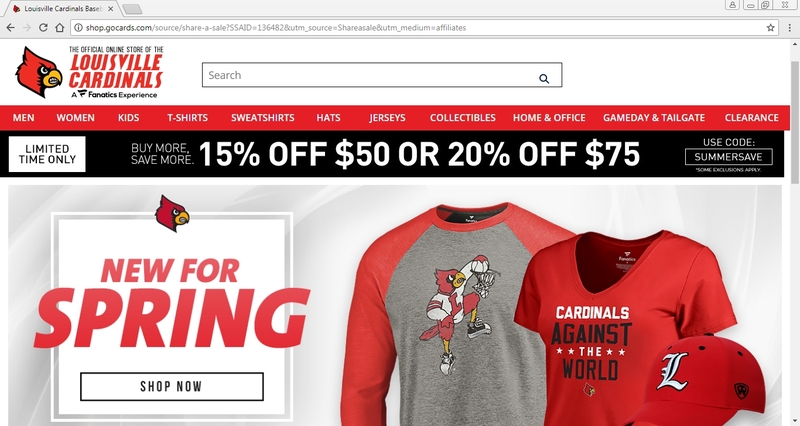 Miguel S I have tested this code and is working as described, place it at the checkout, and enjoy the discount in the store: Louisville Cardinals. Some exclusions may apply. Paola Vanessa Briceño Araujo Go to Louisville Cardinals and use this promotional code to save 15% off your order of $50 or 20% off your order of $75 or more. Just go and apply this coupon code in your shopping bag at checkout.